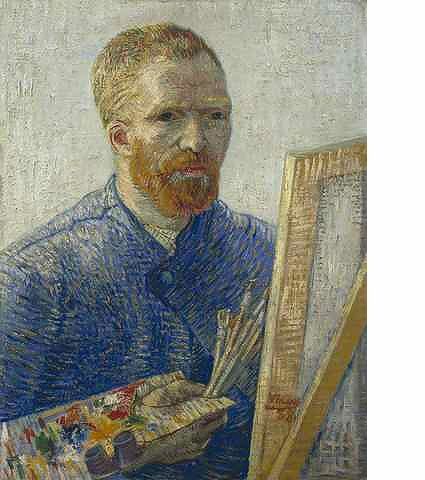 In January 2010, the Royal Academy of Arts will stage a landmark exhibition of the work of Vincent van Gogh (18531890). The focus of the exhibition will be the artist's remarkable correspondence. Over 35 original letters, rarely exhibited to the public due to their fragility, will be on display in the main galleries of Burlington House, together with around 65 paintings and 30 drawings that express the principal themes to be found within the correspondence. Thus the exhibition will offer a unique opportunity to gain an insight into the complex mind of Vincent van Gogh. This will be the first major Van Gogh exhibition in London for over forty years. In addition to lending almost all the letters in the exhibition, the Van Gogh Museum, Amsterdam, has made available twelve important paintings. Other major lenders include the Kröller-Müller Museum, Otterlo, The Metropolitan Museum of Art, New York, The Museum of Fine Arts, Boston, and The J. Paul Getty Museum, Los Angeles, together with other museums and private collections worldwide. Born in Zundert in the southern Netherlands in 1853, Van Gogh was the second of six children of a Protestant pastor. In his early adult life, he worked for a firm of art-dealers in The Hague and London, before becoming a missionary worker. His career as an artist began only in 1880, when he was 27. During his ten-year artistic career, which his suicide cut tragically short in 1890, Van Gogh's output was prodigious: largely self-taught, he produced over 800 paintings and 1,200 drawings. Van Gogh was a compulsive and eloquent correspondent. The majority of his letters were written to his brother Theo, an art-dealer who supported Vincent throughout his difficult artistic career. Vincent also wrote to other family members, including his sister Wilhelmina. Other artists, notably Anton van Rappard, Emile Bernard and Paul Gauguin, were also, at different phases of Vincent's life, recipients of his letters. The originality of his ideas about art, nature and literature, combined with his deep understanding of these subjects, make Van Gogh's letters much more than a personal expression of feelings: they attain the status of great literature. In reading the letters one encounters not only a sensitive, determined and exceptionally hard-working man, but also someone possessed of a powerful intellect; this exhibition will challenge the view that Van Gogh was an erratic genius by allowing the viewer a rare insight into his artistic process through the intimate medium of his correspondence. Together the letters create a âself-portrait', and reveal the ways in which Van Gogh defined himself as an artist and as a human being. Taking the letters as its starting point, The Real Van Gogh: The Artist and His Letters will view the paintings and drawings from the perspective of the correspondence. The letter sketches that Van Gogh frequently used to show a work in progress or a completed work are a fascinating part of the correspondence, and many will be shown alongside the paintings or drawings on which they are based. Highlights of the exhibition will include Self-portrait as an Artist (1888) and The Yellow House (1888) from the Van Gogh Museum, Amsterdam; Still-life: Drawing Board with Onions (1889) from the Kröller-Müller Museum, Otterlo; Vincent's Chair with His Pipe (1888) from the National Gallery, London; and Entrance to the Public Park in Arles (1888) from the Phillips Collection, Washington DC. Examining such themes as the role of colour in painting, the cycles of nature, friendship, religion and literature, the exhibition will celebrate the new edition of the artist's correspondence Vincent van Gogh  The Letters: The Complete Illustrated and Annotated Edition, that will be published by Thames & Hudson in October 2009. The result of fifteen years of scholarship by Leo Jansen, Hans Luijten and Nienke Bakker of the Van Gogh Museum, the complete correspondence of Vincent van Gogh will be published as a printed edition in three languages and as an integral web-edition, thereby providing the worldwide public with a wealth of new information. The exhibition is based on many insights that the new and extensive research into the letters has produced.